The popular online search engines run by Google Inc. and Yahoo! Inc. are banning ads from online casinos, reacting to a federal crackdown on Internet gambling. Mountain View, Calif.-based Google expects to drop all casino ads by the end of this month. Sunnyvale, Calif.-based Yahoo is phasing out the ads in its U.S. market, but allowing them to continue in 14 countries where the company operates Web sites. Yahoo's decision also affects Microsoft Corp.'s MSN site, whose search engine depends on a Yahoo subsidiary, Overture Services, for its online casino ads. Google and Yahoo are imposing the ban as federal authorities increase pressure on the media to stop "aiding and abetting" offshore Internet casinos that have been illegally accepting bets in the United States. The push recently prompted broadcast giants Clear Channel Communications and Infinity Broadcasting to stop broadcasting the ads of illegal online casinos. Overture spokeswoman Jennifer Stephens attributed the casino ban to a "lack of clarity in the current environment" and a desire to conform with its parent company's policies. Yahoo stopped accepting banner ads from online casinos in 2002. Google believes the action will help "provide the best search and advertising experience for its users." Critics of the ban say it compromises the media's right to distribute information. The current legal status of Internet gambling in the United States is in dispute. Some site operators have been prosecuted under the 1961 Wire Communications Act, which was written to cover sports betting by telephone. 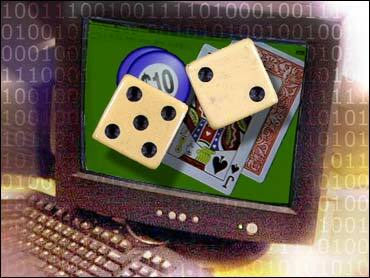 The General Accounting Office has estimated there are 1,800 Internet gambling operations. Virtually all of them are based outside of the United States, posing an enforcement problem for U.S. authorities.